Dermira, the pharmaceutical company that produced the treatment, gained the approval last month based on results from two Phase 3 clinical trials that assessed the safety and effectiveness of the drug. Qbrexza is a topical anticholinergic towelette that is meant for a single daily use. It blocks sweat production by preventing activation of the sweat glands. It is also approved in patients aged nine and older. Excessive sweating is a real condition that affects almost 10 million people in the U.S.
“This isn’t just a cosmetic condition. I’ve had patients that don’t want to go to their kids’ graduation because they are worried that they are going to sweat so much that they are going to sweat through their clothing or they can’t shake people’s hands because they are dripping,” said Dr. Michele S. Green, a board-certified dermatologist. “Unless you’ve experienced it or seen patients who suffer from it, it may seem like it’s not a big deal to people, but it really is. A lot of people are just devastated by it,” she added. However, Qbrexza has a few side effects, including dry skin, blurred vision, dry eye, dry nose, headache and sore throat. More serious side effects include problems in the regulation of body temperature and aggravating urinary retention. Since sweating is important in the regulation of the body’s temperature, patients who use Qbrexza may be prone to heat stroke on a hot weather. 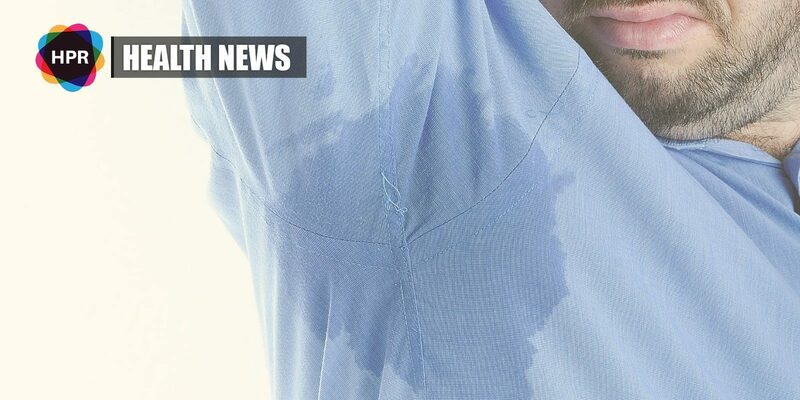 Currently, there are some treatment options available for excessive sweating, such as antiperspirants, although they can cause discoloration and stains on clothing. Botox is another common treatment, but it requires periodical injections. “Botox works, but it’s not 100 percent and we have to redo it every three to six months, depending on how much you are sweating. So, that’s not ideal for some patients because it’s expensive and they have to come back,” said to Dr. Green. Other alternatives include lasers and microwave technology like (miraDry) that was approved by the U.S. FDA in 2015. But Qbrexza may have an edge over other current treatments because it’s simple to use.